Kira J. Johal is an Associate in the Seattle, Washington, office of Jackson Lewis P.C. Her practice focuses on representing employers in workplace law matters, including preventive advice and counsel. While attending the University of Washington School of Law, Ms. Johal was the Articles Editor of the Washington Journal of Environmental Law & Policy and a member of the Editorial Staff for the Education Law & Policy Society. She was also the Co-Director of the Pro Bono Project for the Education Law & Policy Society and was a Board member for the Center for Human Rights & Justice Society. She also participated in the Worker’s Rights Clinic assisting low wage workers understand their employment rights in the workplace. During her second year of law school, Ms. Johal was a recipient of the 2017 Jackson Lewis Diversity Scholarship. 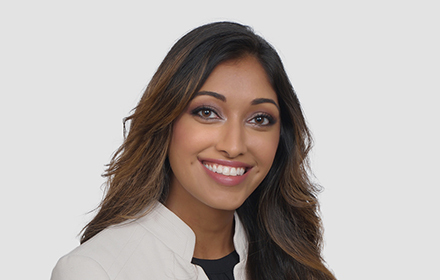 Prior to joining Jackson Lewis as an Associate, Ms. Johal was a Summer Associate and Law Clerk with the firm’s Seattle office, where she assisted in a variety of matters, including preparing cases for mediation, researching issues of law, and defending administrative charges.